To all the eCommerce store owners, if you haven’t set up eCommerce tracking in Google Analytics then you are not taking your online business seriously. 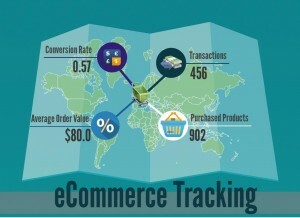 I think that you all have heard the word “eCommerce Tracking” but don’t have an exact idea what it is and how it is beneficial for business. In short, it is a feature offered by Google analytics that allows admins to track transactions on a web store. Due to this feature, one can establish the right strategy to increase ROI. It generates tracking information like from where a customer purchase product, time, how much customers spend on purchases, etc. From these data types, one can easily find out which product is being sold well and which one isn’t. Through this tracking, we get valuable insight of our eCommerce store at just one click & use it in marketing efforts to gain maximum return on Investment (ROI) with less effort. By having exact information about revenue generation from the store, we can justify it and put it in line with our desired expectation. For example, if you are not getting good results from particular products then you can set discounts and offers on it to get ROI from it. For any eCommerce business, it is necessary that visitors come again & purchase new products from your store. E-Commerce Tracking helps in Re-marketing strategies to target specific audience and enhance conversions because this feature gives data about returning customers and their transactions. We have discussed what is it and why it is beneficial, but the main question is how do we implement in Google analytics? Step 1. Create a Google Analytics Account: This is simple to create with your Google account. If you have already one then let’s move ahead. Step 2. Go to the Desired profile account. Sign into your account, choose the desired profile account and go the “Admin” Section which is shown in the top right side. In the third column on the right side, you can see the “Ecommerce tab”, click on it and set it to “YES”. Now you are allowed to see the information about transactions. Step 3: See it on your Reporting: Click on Reporting tab on the top of page. In the left sidebar, you will see the tab “conversion → eCommerce” and you are in the area of E-Commerce Tracking. This is where you can analyze the data of product purchase, sales performance, transactions, time to purchase, etc that helps a business owner make better decisions for the next business strategy and steer online business the right way. Most online store owners are aware of Google analytics and use it for search analytics, real time traffic, and user behavior but not about E-Commerce Tracking. After reading this post, you should be aware about this and your next step will be to set up E-Commerce Tracking in your online store. If need help, contact an eCommerce SEO Agency, and they can do it in no time. If you are a Google analytics nerd and wish to add more about this topic, we welcome you to add your ideas in the comments. Chiranjiv Joshi is working in Technource and has contributed this post on behalf of Technource – Professional SEO services provider to help eCommerce Owners. 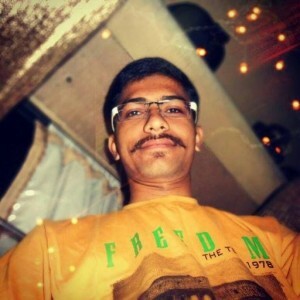 He is passionate about writing post of eCommerce marketing. He spends most of his time in researching & implementing the new organic tactics related to Internet marketing.